many meetings in the United Kingdom, Germany, the Netherlands, and many guided tours to and meetings in Japan. Our membership is now more than 200 people in over 10 countries worldwide. Membership - Interested in joining? We have a Facebook page & discussion group, sign up and join us! 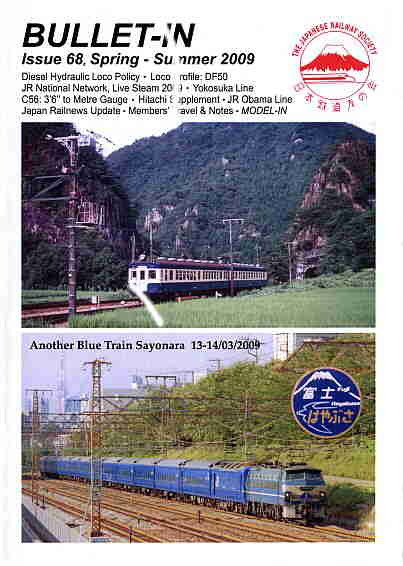 In March 2019, the Sanriku Tetsudō took over the operations of the JR East Yamada Line between Miyako & Kamaishi, allowing through service on their previously isolated sections for the first time in their own right. As atribute to the achievement, our photos this month take a look at this interesting third sector line in Northern Tōhoku. All Photos: Anthony Leith, taken 14th July 2018. 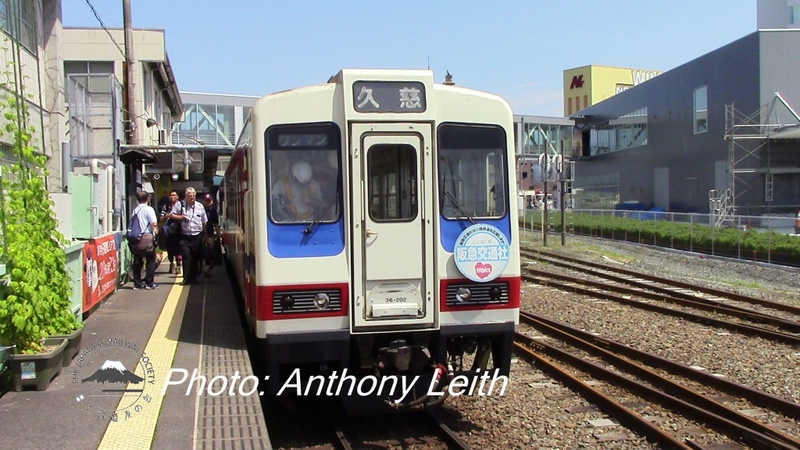 36-202 lead a 2-car set, seen awaiting departure from Miyako with the 13:15 service to Kuji. 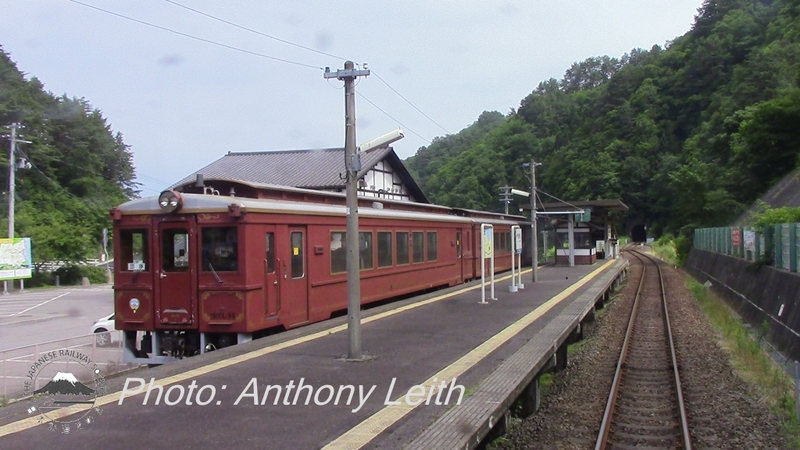 The railway operates 36-600 retro styled DMU's, this 2 car set bound for Miyako paused at Tanohata. 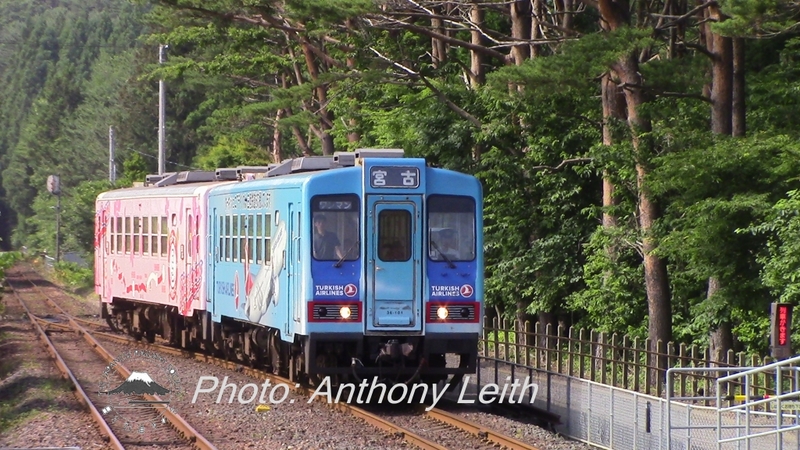 36-101 in an all-over advertising livery for Turkish Airlines (who have provided sponsorship to the railway to aid the disaster recovery) shown entering the loop at Noda Tamagawa while heading southbound to Miyako. The views expressed in this web site are those of contributors and not necessarily those of the JRS.